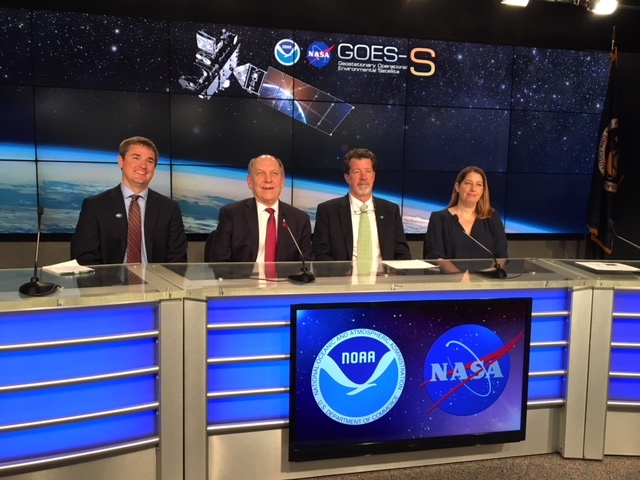 NOAA discussion panel (left to right): Dan Lindsey NOAA NESDIS, Louis Uccellini NOAA NWS (head), Jim Roberts NOAA ESRL CSD, and Kristin Calhoun NOAA NSSL. 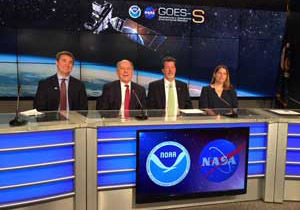 CSD's Jim Roberts was invited to watch the launch of the GOES-S satellite, and take part in a joint NOAA / NASA panel to discuss how this new capability will help with the detection and management of wildfires in the Western U.S. The GOES-West satellite will give us near real time detection of wildfires, 24 hours a day, 7 days a week. This will be a tremendous improvement over the current system that uses polar-orbiting satellites. In addition, we can use the imagery to track fire plumes, estimate fire temperature and smoke density, and possibly calculate the height of wildfire plumes. These features will give us unprecedented details that we can relate to fire emissions and their chemistry, and also use to validate the state of the art high-resolution rapid refresh model being developed for wildfire, as part of the FIREX project. 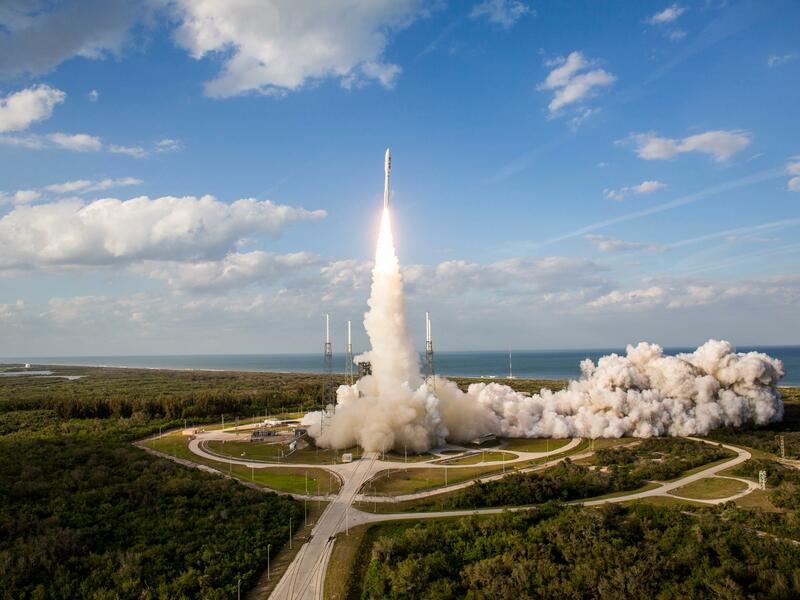 The Geostationary Operational Environmental Satellite (GOES-S) was launched into orbit at 17:02 EST on March 1 from Cape Canaveral, Florida, precisely at the start of its launch window. This is the second in a series of 4 geostationary observing satellites that constitute major upgrades in capabilities to detect and study wildfires, and extreme weather and will eventually be stationed in the GOES-West location at 137° West and pair with the existing GOES-East satellite at 75° West. NOAA/CSD looks forward to using the products of GOES-West during the FIREX field intensive that will take place in the summer of 2019. A United Launch Alliance Atlas V rocket lifts off from Space Launch Complex 41 on 1 March 2018, at Cape Canaveral Air Force Station carrying NOAA's GOES-S. Ahead of the 1 March 2018 launch of GOES-S, officials held a science briefing to discuss the mission. Once operational, GOES-S will become GOES-17. 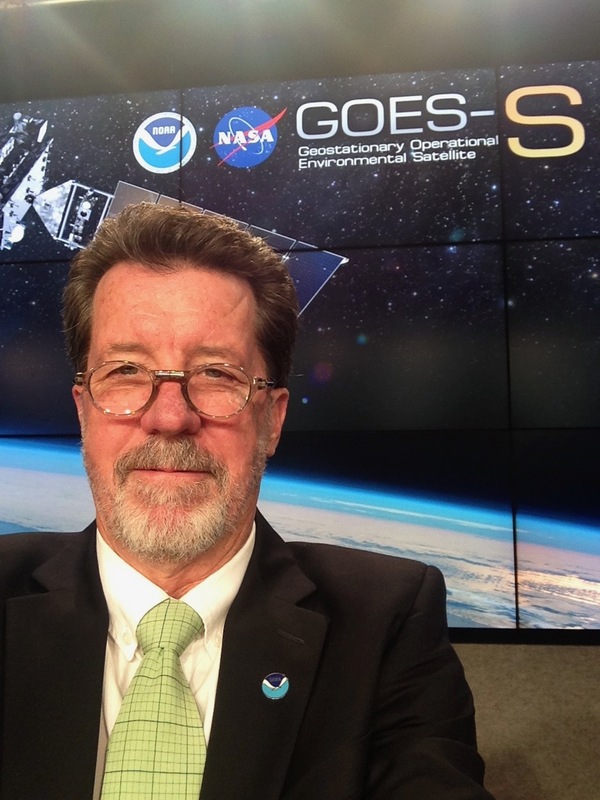 It will be the second of NOAA's next generation weather satellites.